The convergence of the coupon and your smartphone is about to happen……. In part 1, we reviewed many of the “terrestrial” based coupons that are available today through traditional print mediums (Newspapers, FSI‘s, direct mail, in-store, etc.). 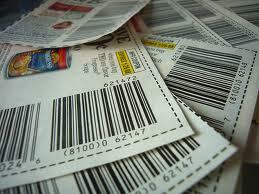 Those where we must clip or cut a physical coupon and present it at the point of purchase. We also discussed the plethora of digital/on-line coupons available; yes they are on-line but most of these still require a printer and are redeemed at the point of purchase in the traditional way. With nearly 50% of the US enabled with smartphones we are on the precipice of an incredible transformation through the range of applications and capabilities on your smartphone, both domestically and globally. Innovative companies such as Starbucks have now connected your point of purchase behavior and the capabilities of your smartphone. Their smartphone application was only one part of this connective tissue. In order to enable this coupon/purchase card capability at the point of sale, they needed to replace their scanning technology to make sure that these capabilities worked right every time. For coupon redemption via smartphones in grocery and other retail outlets to become a reality, it is critical that the process and the technology is aligned at the point of sale. 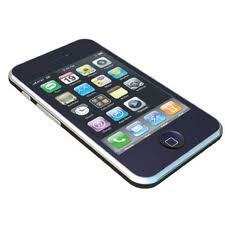 Most scanners in grocery stores cannot read a bar code displayed on the screen of a cellphone. One company that is working on this specific opportunity is Mobeam. www.mobeam.com – In October, Cupertino, Calif.-based Mobeam raised $4.9 million in capital to solve this exact problem, by converting the bar code data into a beam of light that can be read by most scanners found at the check-out counters. They are still early in the process, but it is apparent that our point of purchase behavior around using coupons is about to change radically. Enjoy the ride and the savings! Hey there! Terrific web page. Discovereda whole lot from it! Keep it up.